Youth league and subsequent leagues are competitive, and the level of competition depends not only on the magnitude of the players’ talent, but also on the quality and nature of the equipment. A baseball bat is one of the most crucial pieces in a competitive baseball game. Baseball bats come in different shapes and different budgets. However, is sometimes a curse instead of a blessing to parents are always in search of the ideal baseball bats sometimes with little or no knowledge on how to settle on one. For starter, the -3 bats are the recommended type of baseball bats for this class of player due to numerous factors discussed in the following piece. 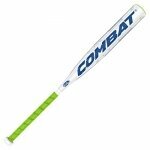 Designed by the market pacemakers in baseball bats, Easton MAKO COMP 3 BBCOR Adult Baseball Bat is arguably the best option in this category of bats. Based on the above claim, the following are the reasons distinctive features of the bat. Certified by BBCOR, it means that the bat meets all the requirements set for bats in this particular league. These factors include the realization of the drop -3oz ratio by the manufacturer and therefore giving the young players a bat they can play and enjoy baseball with and without necessarily using more energy. The bat has one if the biggest sweet spot in this league and this is realized due to Easton using their latest technology that is known as TCT that helps in making composite bats that do not only have large sweet spots but also lighter. This is entirely phenomenal because traditional bats either sacrifice the swing ability of the bat for the sweet spot of the vice versa. The bat, designed to give the player maximum comfort when hitting and swinging the bat, is enhanced by the fact that the bat has hyper skin grip. The balance in the bat design makes it one of the best and well-balanced bats in the bats market, and this saves the players energy because they can achieve better swings. The bat gives the buyer the value for money considering it is its specs and the market value and the fact that the bat has a one-year warranty. However, the bat has one disadvantage. There have been documented claims that the bat sometimes is more substantial than the actual weight. 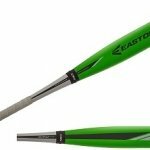 Made of aircraft alloy, the Easton 2014 S500 BBCOR Baseball Bat (drop -3) is designed to be the lightest bat in the youth league. The bat has the largest diameter in this baseball league of 2-5/8”, which makes it one of the most advanced baseball bats ever to be designed by Easton. Some of the specific specifications of this youth bat include the following. First, with a large sweet spot, the baseball bat is one of the lightest bats. This is against the traditional makes of bats whereby larger sweet spots translated to a massive bat and therefore swing capacity of the bat reduced drastically. This new phenomenon can be attributed to the type of alloy that makes the bat. Second, with a narrowing handle, the bat has one of the thinnest and comfortable handles in this class of bats. Finally, the bat is BBCOR certified, and it meets all the standards set for youth league bats. The baseball player can achieve better swings without compromising the size of the sweet spot. The bat provides comfort that is unparalleled by any bat standards especially the handle that is relatively small as well as the mishits effect is well distributed. It comes with a warranty, and this gives the potential buyer the necessary confidence of the bat. Although the bat is undeniably one of the best-made bats, there have been instances where different pieces have weighed differently. 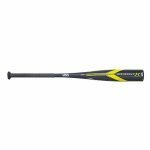 Also made and sold by baseball bats pacemakers, Easton Z-CORE HMX TORQ 3 BBCOR Adult Baseball Bat, is not only a colorful bat but also a worthy investment. With BBCOR certification, parents are assured of the legality of buying this bat for their children in youth leagues. The following is an elaborate insight of this bat’s features. First, the bat has optimal baseball bat diameter. The 2 5/8” diameter pushes the limit of what a baseball bat ought to be without necessary adding the weight of the bat. This gives the young baseball player the freedom to swing the bat as a factor and as more often as possible. Second, with drop -3 ratio, the bat meets the young league bat recommended ratio, which is critically delivered by comparing the length of the bat and the weight. Finally, the bat is alloy explicitly manufactured Hyperlite Matrix made. This, therefore, means that the bat has a relatively strong sweet spot without compromising the weight of the bat, which is designed to be a youth league bat. The bat is comfortable to use, and in case the baseball player misses the ball or mishits the baseball, the bat does not irritate the other mainstream bats. The bat being under warranty is one of the most affordable high-end bats compared to other bats of the same class. The bat gives the player both a large sweet spot and the ability to swing more and affectless due to the weight of the bat, which is considerably low. Although the bat is well built and frames itself for being one of the lightest bats, there have been reports of the variant in weight of this bat. 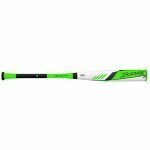 Crafted using the latest technology by the manufacturing company Easton, EASTON Z-CORE HYBRID 3 BBCOR ADULT BASEBALL BAT, qualifies to be termed as a smart investment. It is also a colorful bat with beautiful inscriptions. The following are specific specifications of this Easton bat. First, the bat has one of the most amazing sweet spots in this category of bats. 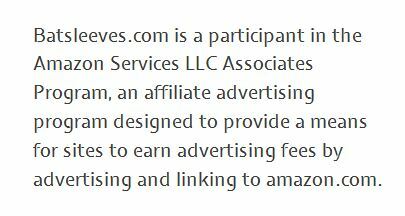 It is relatively significant compared to the mainstream standards, and this gives the player the freedom to get the hits correct. Second, the bat is light by the mainstream standards, and this aspect provides the baseball with a chance to swing the bat without necessary using a lot of energy. Third, the bat is durable and can last for many seasons. This is possible because the bat is built with the latest technology that allows the manufacturer to blend in matrix alloy and black carbon handle. This technology also allows the player to have a quiet playing time because in case they miss the ball, the baseball bat absorbs the irritation. The general performance of the bat is incomparable, and this contrasted to the price, it can be termed as the best investment a parent can do to their son. The bat has a one-year warranty, this is a good sign from the manufacturer, and in case the bat has issues before using it, the issue can be sorted out by being issued another bat. The bat is BBCOR certified. 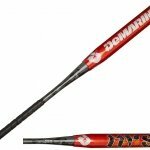 This gives the bat the legality to be used in youth leagues without attracting league legality questions. The main disadvantage of the bat is the lack of uniformity in prices in different outlets and the only reasonable place to get the bat is from Amazon. 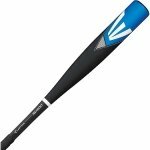 As a parent, do you want a bat that is not only efficient and durable but the one that is also affordable? LOUISVILLE SLUGGER OMAHA 517 BBCOR (drop -3) BASEBALL BAT, as a youth bat is not only a colorful bat but even one of the most well-designed pieces of equipment in baseball. The following are specific specs of this bat. First, the bat is alloy manufactured. The fact that the bat is made from alloy gives it specific characteristics such as the ability to have a relatively more significant sweet spot without necessary adding unnecessary weight on the bat. Second, the bat grip is one of the most colorful handles to ever made, and it feels perfect in the baseball player. Third, the bat with a warranty of one year gives the player a well-balanced bat, and this helps in optimizing the player’s ability to play well. The balancing of the bat gives the player the best playing experience with a large sweet spot that not only makes the player enjoy baseball but also optimizes the player’s hitting chances. The one-year warranty is a plus for a bat of this kind of investment, and a potential buyer should not shy off to invest in it. BBCOR certification is evident that the bat is compliance with the young regulations of a standard bat. Although the bat has definite weight and is compliant with the set guidelines of making the bat, there are some instances where the bat weight has been variant, and this to some players can affect the overall performance of the baseball player. This Easton made bat is not only a budget bat but also a well designed and manufactured according to the laid regulations by BBCOR. 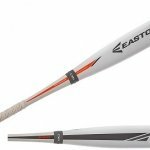 EASTON S400 3 BBCOR ADULT BASEBALL BAT, as a youth bat has some of the most advanced specs a parent can ever invest in and compared to the mainstream bats, it is a trendsetter. The following are the specific features of this Easton made a bat. First, the drop -3 bat has ideal barrel diameter. The 2 5/8” diameter is the largest barrel diameter in this class of bats, and surprisingly the big diameter does not add unnecessary weight to the Easton bat. This gives the young baseball player the freedom to swing the bat as a factor and as more often as possible. Second, with drop -3 ratio, the bat meets the young league bat recommended ratio, which is critically delivered by comparing the length of the bat and the weight. Finally, the bat is alloy manufactured specifically Hyperlite Matrix made. This, therefore, means that the bat has a relatively strong sweet spot without compromising the weight of the bat, which is designed to be a youth league bat. The bat provides the player with both a large sweet spot and the ability to swing more and affectless due to the weight of the bat, which is considerably low. The main disadvantage like other Easton bats is the lack of uniformity in prices in different outlets and the only reasonable place to get the bat is from Amazon. The tag drop -3 bats are derived by comparing the bat’s length to the weight of the bat. This, therefore, means that the ratio is ideal for the bat to be used in the youth league. The following are specific reasons why this class of bats is ideal. This phenomenon is a game changer to the manufacturing and designing of the bat. Traditionally, bats were made lighter, and this sacrificed the size of the sweet spots. Fortunately, this is no longer the case, and the two beautiful aspects of bats are incorporated. Every baseball player desires to have a lighter bat and at the same time the bat to be potent. Most of the drop -3 bats are lighter, and the players can achieve better swings with less energy and at the same time, be able to make better hits than in mainstream bats. Because these bats are designed and built on BBCOR set controls, it is possible to achieve bats that are standards regarding weight, the diameter of the barrel and the length of the bat. This is one of the unique unwritten rules that these bats abide in, and it is rare to find a bat without quality assurance in term of guarantee. The average warranty period is one year. In conclusion, the above piece gives several drop -3 bats spec an objective angle. It is important to note that some manufacturers exaggerate some features and this is mainly aimed at making the bats market diverse. However, the main features of the bats are awe-inspiring and the advancements can be termed as trendsetters in the baseball world. The few weaknesses of the bats like documented discrepancies in weight mostly can be called as a non-issue to many baseball players. As a pointer, it is essential to invest in a bat that has a warranty, and this protects the parent and the young player in case such issues arise such as the difference in weight.